Valentine’s Day is the perfect time to send a happy little something to loved ones to tell them how much they mean to us. 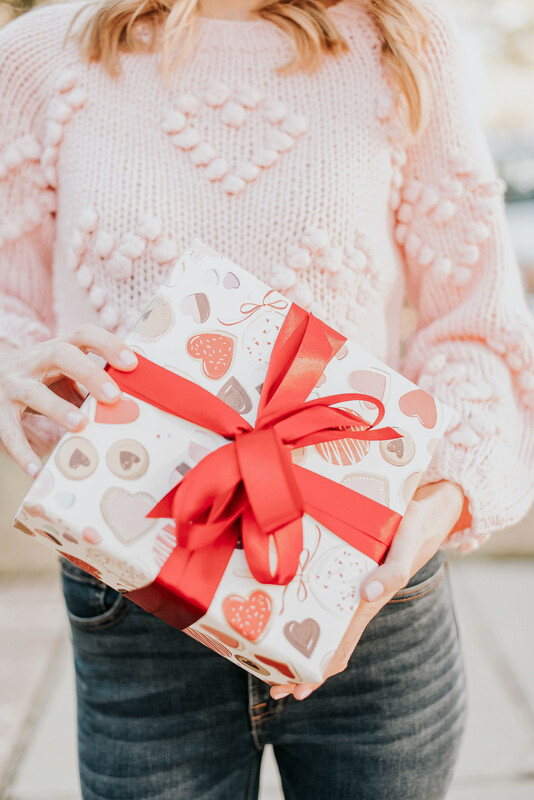 Today I am sharing some adorable personalized gift ideas that you can order in no time at all! This post is sponsored by Snapfish. Thanks for supporting the brands I love! Snapfish is a custom photo website that helps you create unique and fun photo gifts for birthdays, graduations, engagements, and other special occasions. They make it so motivating to use the thousands of pictures stuck inside our phones – and so easy as well! Just import photos from your computer, Facebook, Instagram, or Google Photos. Then drag and drop to effortlessly design gifts like this Personalized Water Bottle (cute teacher gift!) or this Wood Block Calendar (perfect for dads!). 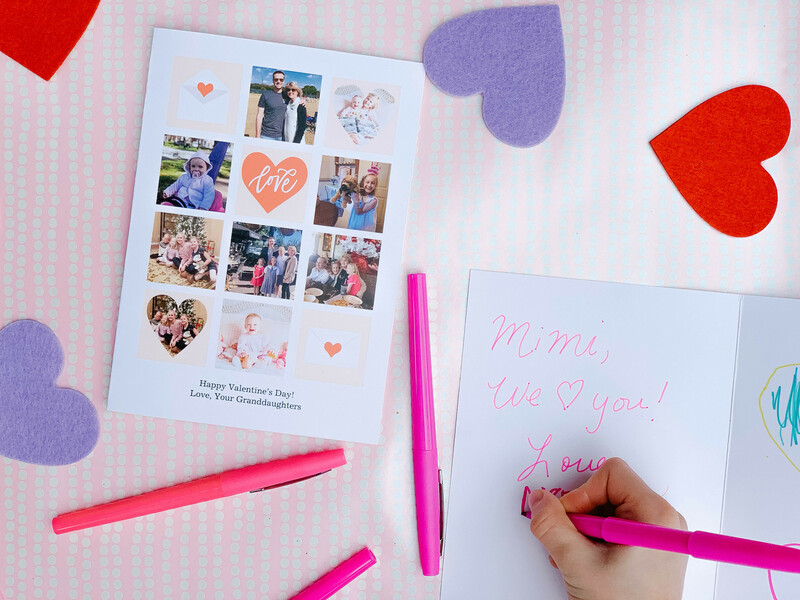 There are so many cute and budget-friendly Valentine’s gifts on Snapfish right now. This photo puzzle is on our Valentine’s Day Gift Guide for Children. It would be fun for the whole family to put together a favorite vacation memory. This notebook would be perfect for a tween or teen. And I love the idea of giving this insulated cup or mug to your favorite coffee drinker. I get so many questions about recommendations for gift ideas for elderly family members. 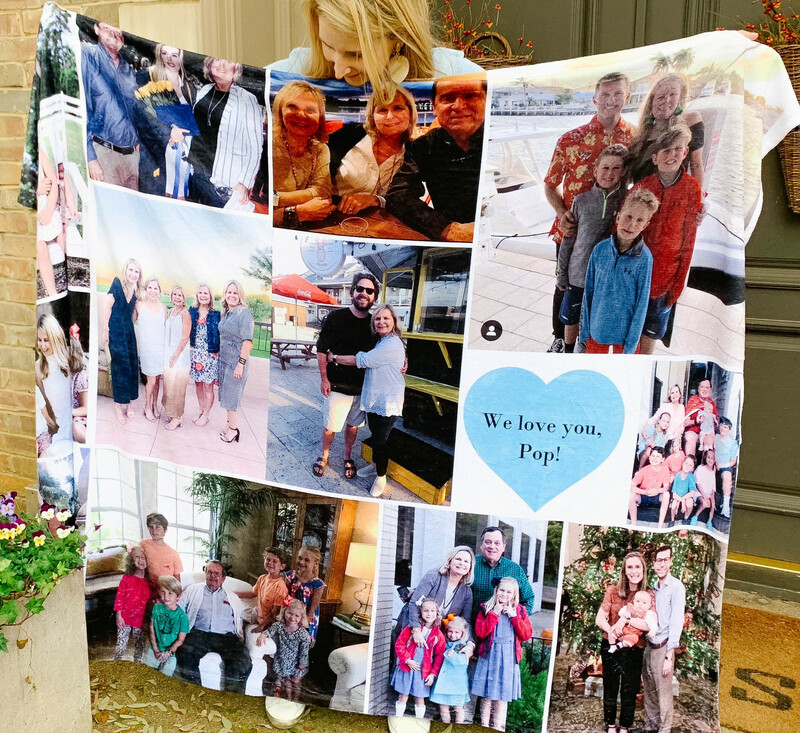 I ordered this photo collage blanket for my elderly grandfather using photos of all my extended family members. I love how it turned out and it’s so soft! 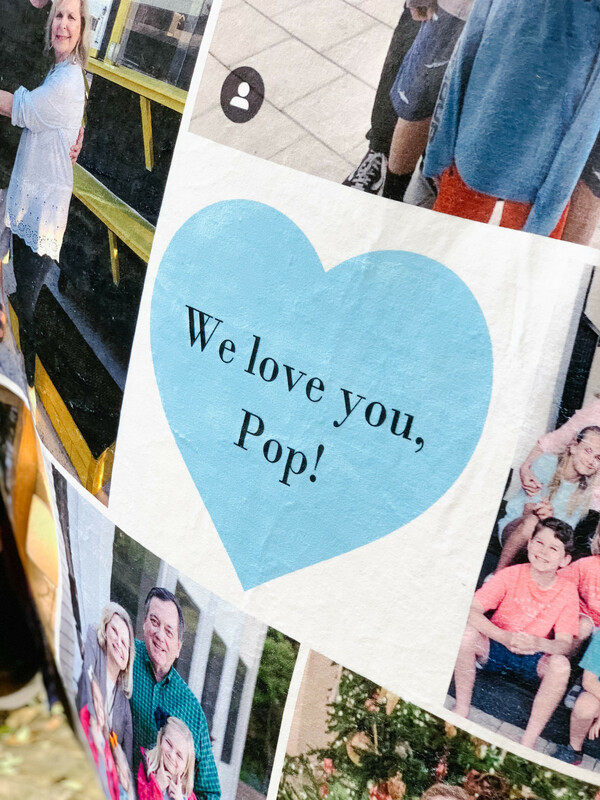 My girls wanted to keep it for our house, but I told them Pop was going to love seeing all their sweet faces everyday. There are several different blanket options on Snapfish; I ordered the collage plush. 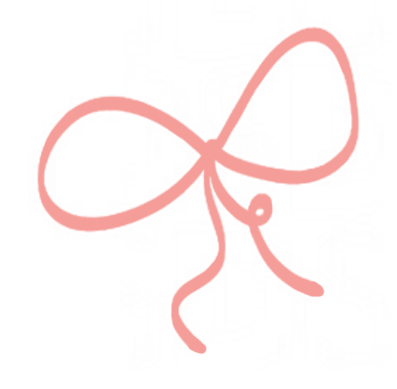 And, yay, right now get 50% off when you use code 50SITE19 – this works sitewide! 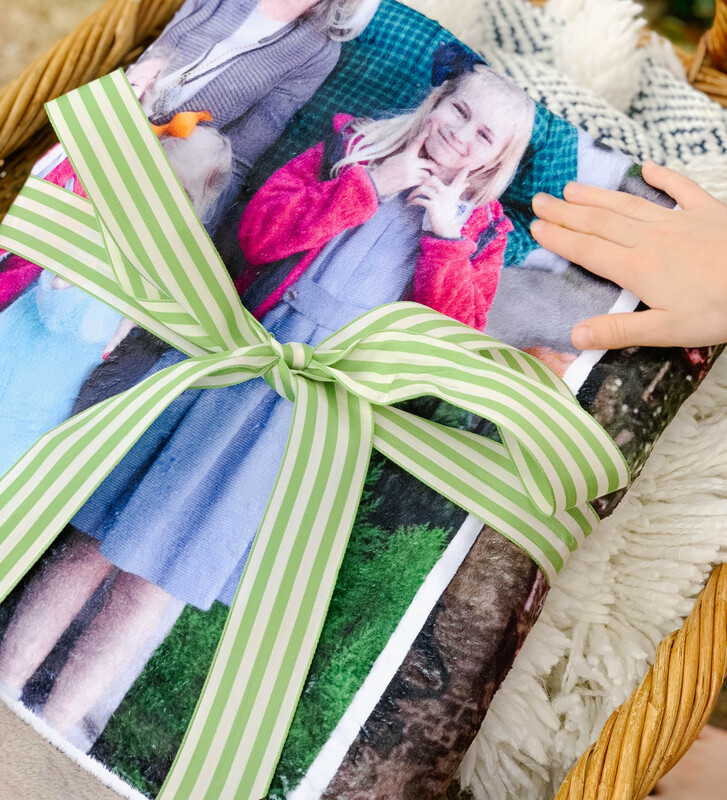 Another great gift idea for children are photo books. My children LOVE seeing family photos all in one place. It truly is the gift that keeps on giving because they look at them all the time and reminisce on sweet times. Grandparents love them, too! 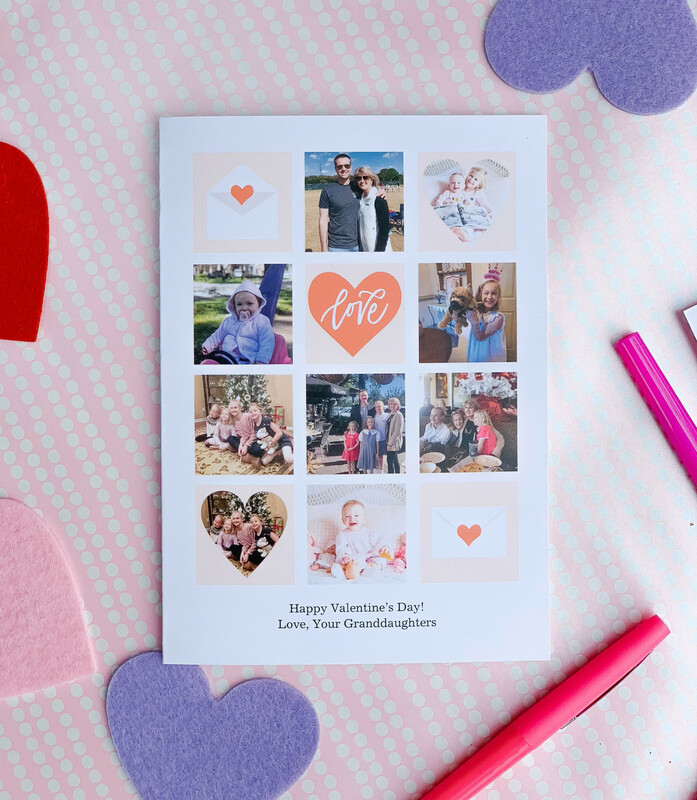 I added these personalized photo cards to our Valentine’s Gift Guide for Men, but I am actually sending them to grandparents this year. I am terrible at printing and sending photos so I think they will appreciate the gesture! I hope this post gives you a little push to show a little love to your family members this Valentine’s Day. Let me know what you order!